So if you’re craving something sweet, rich and fabulous, look no further because here it is! 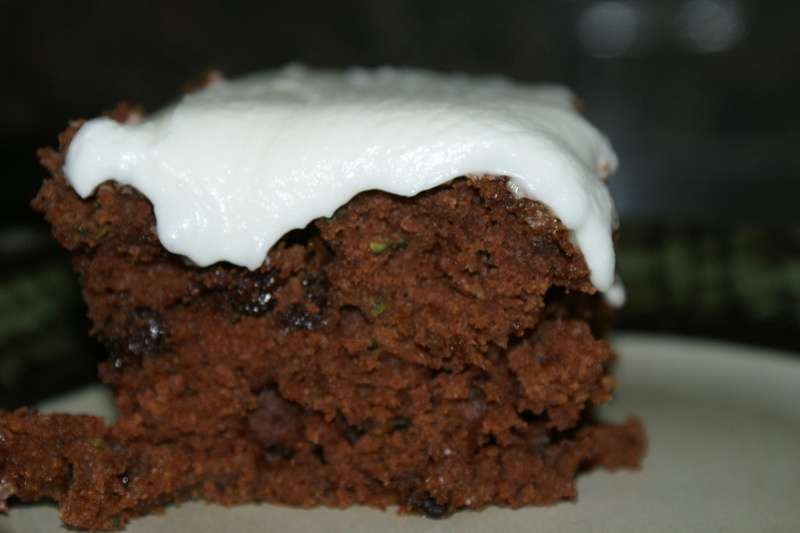 I adore chocolate zucchini cake! I recently made this cake and felt like doing something “different” with the frosting, so I topped it with a coconut flavored frosting and it was fabulous! 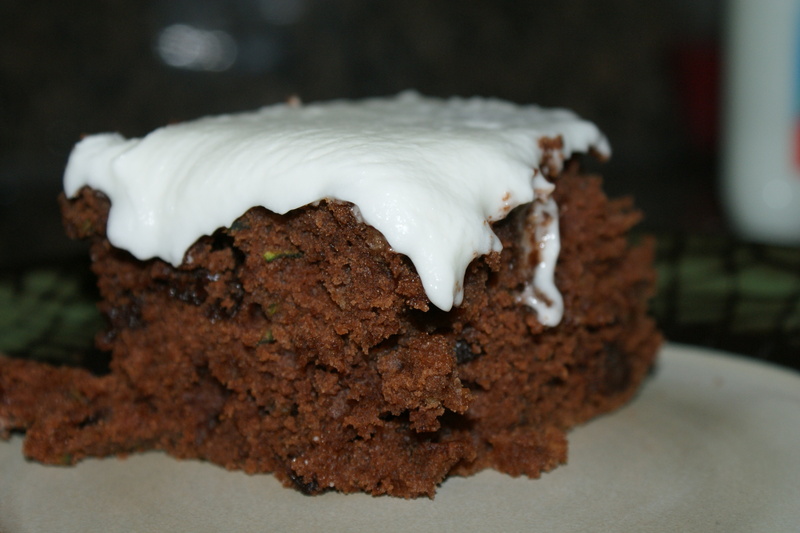 This cake is one of the most moist cakes I have ever had and it turns out that way every single time. 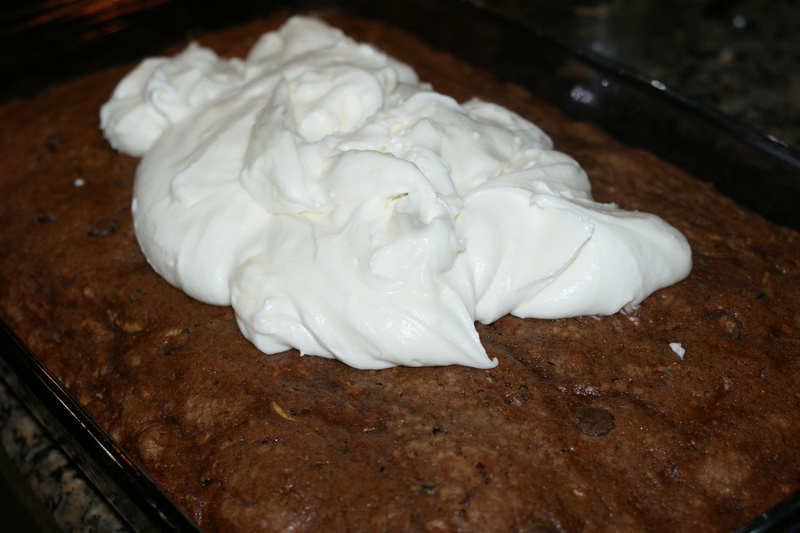 You must try this delicious dessert and get this…..it’s so good that my kids even eat it knowing there is zucchini in it! While that may seem like nothing to most people, this is a huge victory to me since my kids eat very few vegetables! I guess it proves that everything is fabulous smothered in sugar! Here is the recipe. 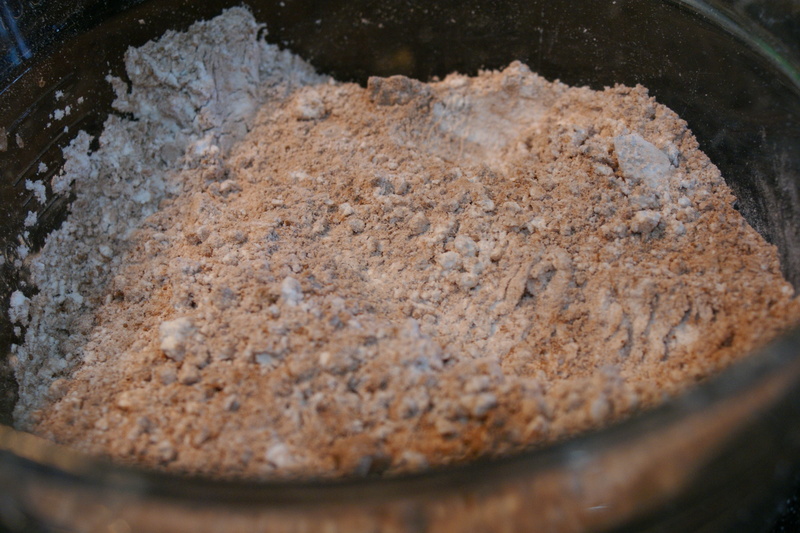 In a medium size bowl sift your flour, baking soda, salt and cocoa. 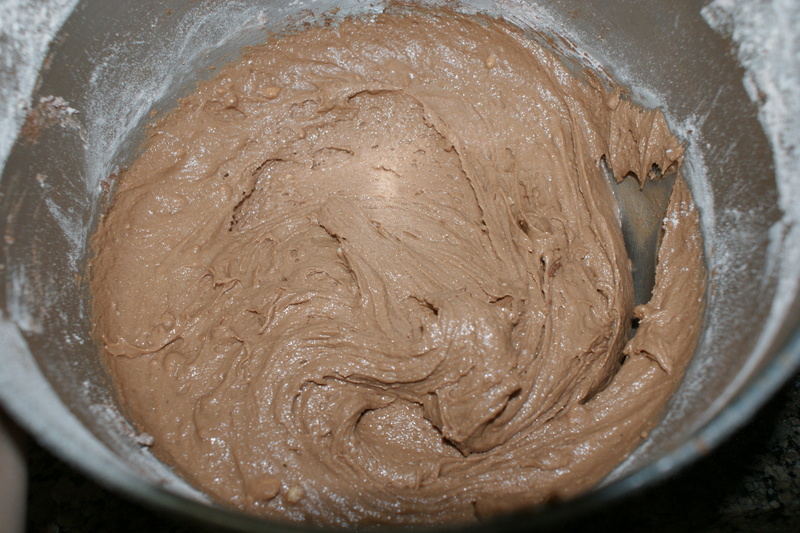 In a large bowl cream the butter, oil and sugar on medium speed until it’s a light, fluffy consistency. Add eggs one at a time, mixing well between additions. Add vanilla, mix well. 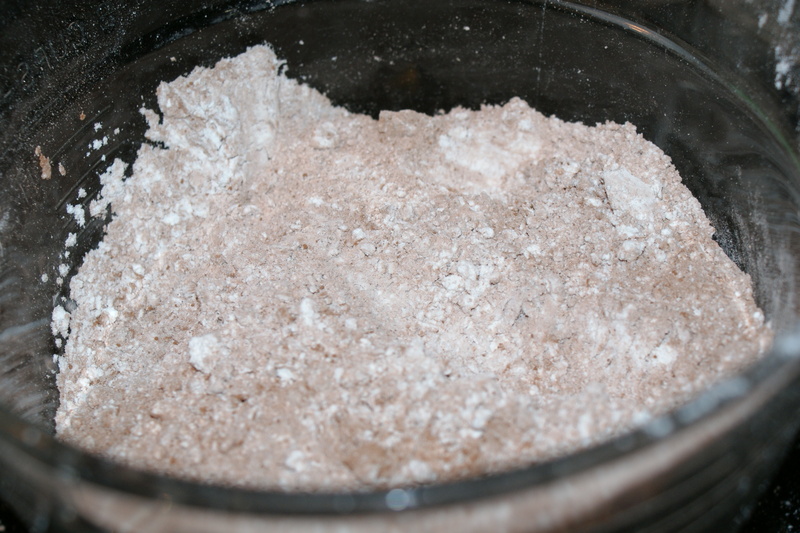 Add part of your dry mixture, followed by some of your buttermilk, mixing well. Repeat this a couple times until all ingredients are blended. 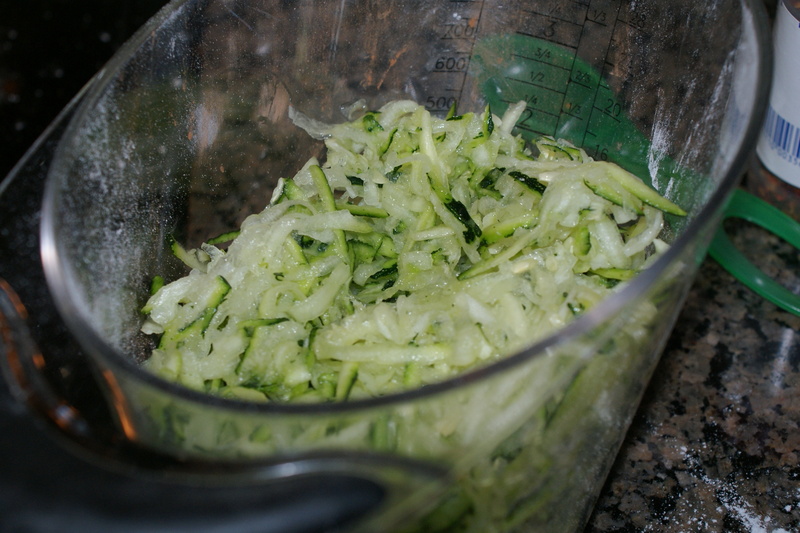 Stir in zucchini and chocolate chips until blended well. 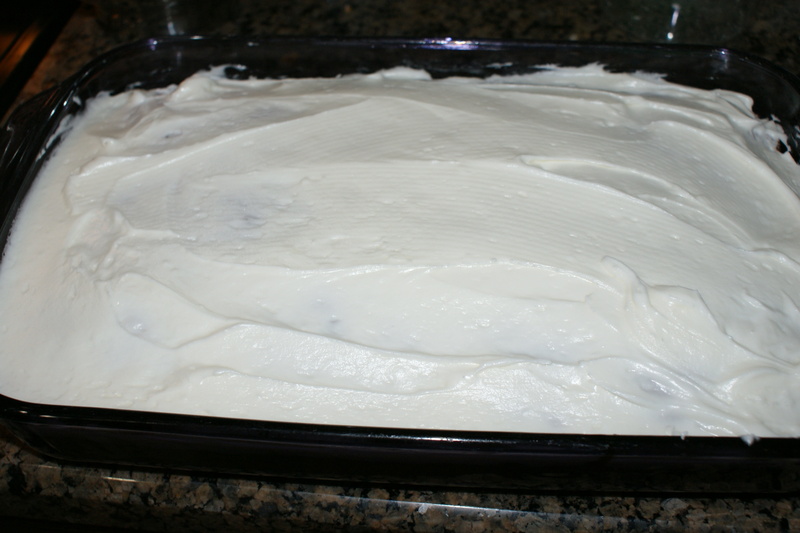 Pour mixture into a greased 13 x 9″ pan and bake @ 325 degrees for about 55-60 minutes, or until cake is done. 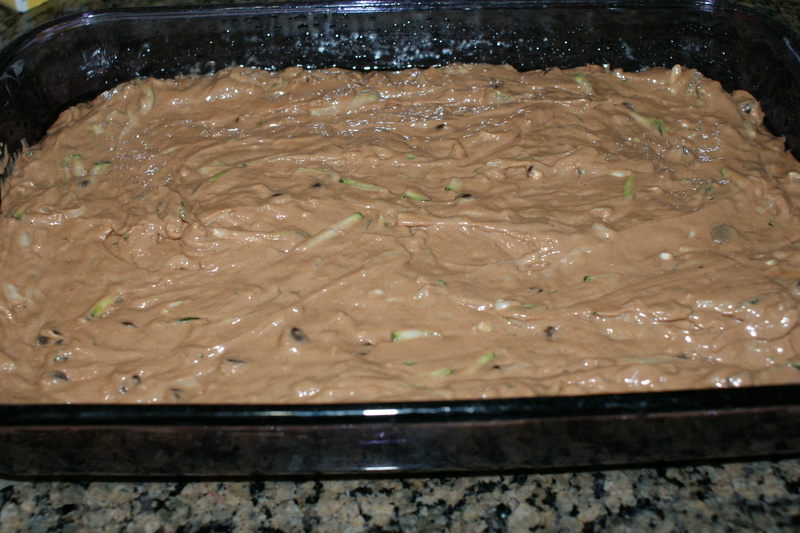 When done, remove from oven and cool completely. 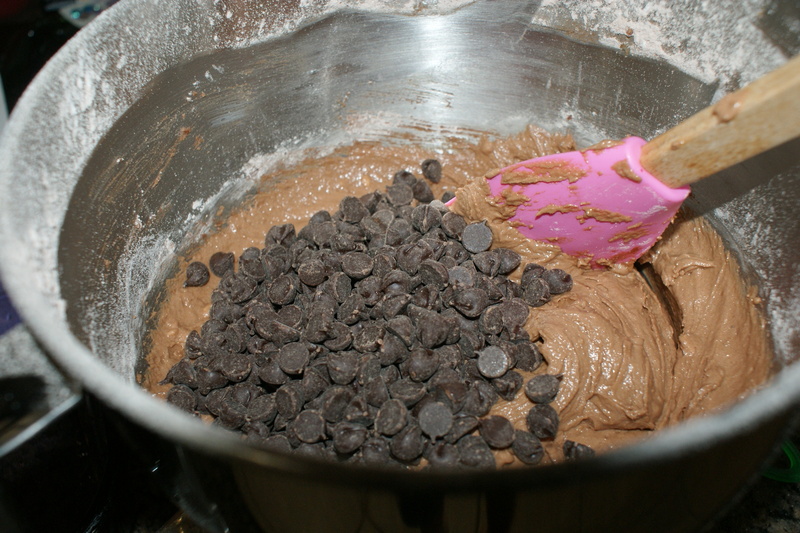 Mix all the frosting ingredients together in a mixing bowl and blend on medium speed until smooth with a nice consistency. Frost your cake when the cake is cool and enjoy! 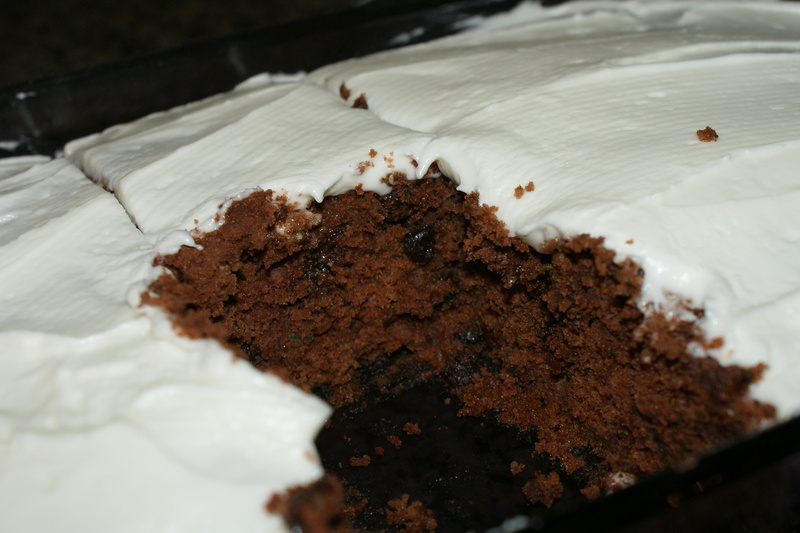 This cake is always so moist, the only way to have cake in my opinion!